SDG offers a minor oral surgery service and collaborates with many other practices throughout the South East. We accept referrals independently and through the NHS referral service. Minor Oral Surgery is that branch of Dentistry that deals with extractions. These include simple extractions and difficult extractions such as impacted wisdom teeth, broken roots, retained roots and multiple teeth. 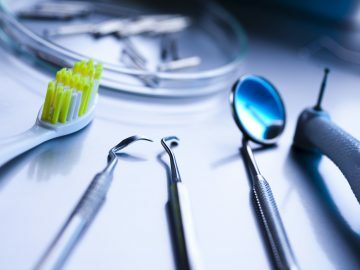 Your general dentist is able to deal with simple extractions but when it comes to complex extractions a dentist with special skills, training and equipment is required. At Sussex Dental Group we have clinicians who are able to undertake these complex extractions due to their special interest in Minor Oral Surgery. We offer an NHS referral service which patients can access through their dentist. We also offer a private referral service which can patients can access directly or via referral through their dentist. Your dentist will determine the complexity of the extraction. If you require general anaesthetic or sedation you will be referred to a hospital or sedation clinic. For teeth to be extracted under local anaesthetic your dentist can refer you by using the Minor Oral Surgery Referral Form or via the NHS electronic referral system.